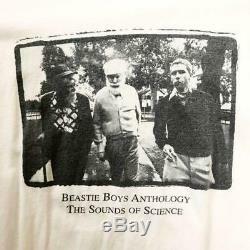 THE BEASTIE BOYS Vintage T-shirt Sounds of Science Rare From JAPAN F/S. Manufactured for promotion of the album "Sounds of Science" released in 1999. 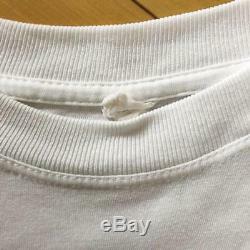 Size: Unknown Size tag is taken off. Length 650 / Chest width 450 mm Feel like size M.
Condition: Good (considering the age) There are some aged deterioration. Please feel free to contact me if you have any further questions or concerns. This product is 100% authentic. North America Central America Middle East AU, NZ. We do not mark merchandise values below value or mark items as "gifts" - US and International government regulations prohibit such behavior. 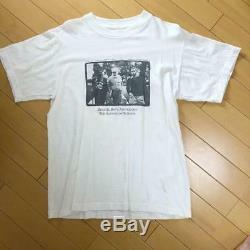 The item "THE BEASTIE BOYS Vintage T-shirt Sounds of Science Rare From JAPAN F/S" is in sale since Tuesday, January 29, 2019. This item is in the category "Entertainment Memorabilia\Music Memorabilia\Rap & Hip Hop\Apparel". The seller is "yuukunz" and is located in Yokosuka. This item can be shipped worldwide.